TechRadar reported on the launch of three new cloud-connected Canon PIXMA inkjet printers aimed at "image-focused" businesses and consumers, with Canon noting that the devices "simplify" printing as well as scanning and editing photographs. The new machines – the MG7520, MG6620 and MG5620 – are all connected to the PIXMA Printing Solutions application, which in turn links to Canon's Easy-PhotoPrint application to allow users to "print documents directly from websites and applications". TechRadar gave the example of users "tapping on a Facebook photo", scanning it onto the printer, editing it and printing it "without connecting any cords". Two other applications included are Canon's Cloud Link and PictBridge programs, which can be used to "share scanned documents via email" and "connect Canon digital cameras directly to the printers without the need for a computer" respectively. The MG7520 is said to be "top-of-the-line" from the new range, and features a dual front tray, direct disc printing and six ink tanks capable of printing 9600 x 2400 dpi color photos. The MG7520 also includes a 3.5-inch LCD touchscreen and a range of different color choices for its exterior, including burnt orange, black, and white "with a mirror finish", and costs $199.99, whilst the MG6620 is available for $149.99 and the MG5620 for $99.99. Twice.com shared the announcement of the value Brother SOHO (Small Office Home Office) monochrome laser printers, which includes the HL-2360DW, HL-L2320D, HL-2380DW, MFC-L2740DW, MFC-L2700DW and MFC-L2720DW machines. The new models, Brother stated, "maintain the company's value suggested retail price points", with the single-function machines including a one-line LCD display that "prompts users with instructions for connecting to a wireless network", as well as automatic duplexing as standard alongside the Brother Web Connect interface for the MFPs, which allows users to "scan to and print from popular cloud services without the need of a computer". The devices feature print speeds ranging from 27 ppm to 32 ppm, and contain a high-yield toner cartridge that can print up to 2,600 pages, in addition to a 250-sheet paper tray. Recommended retail prices are as follows: $149 for the HL-L2360DW; $119 for the HL-L2320D and the HL-L2380DW; $299 for the MFC-L2740DW; $199 for the MFC-L2700DW; and $249 for the MFC-L2720DW. The MX-C301W, a desktop color MFP, was launched by Sharp Imaging and Information Company of America (SIICA), and features "flexible" workflow capabilities alongside a "compact footprint" designed to fit on a small desk, with wireless connectivity, a seven-inch touchscreen panel and print speeds of 30 ppm. The printer also supports Sharp's OSA platform, which simplifies integration with partner network applications, as well as the OEM's Cloud Portal Office service, which offers document storage and sharing online. Its Sharpdesk Mobile free application also works with the printer, enabling "simplified" scans and prints from phones and tablets. Security features include SSL encryption, confidential printing, secure faxing, and the ability to erase the hard drive's temporary memory by "overwriting encrypted data up to seven times", with the additional option to "overwrite all data" after a leasing period. The device is now available for both purchase and leasing in the US market. Mike Marusic, Senior Vice President of Marketing and Operations at SIICA, stated: "More and more small businesses and workgroups are asking for high quality document capabilities that have the flexibility to connect with the latest technologies. The MX-C301W helps address this need with a desktop solution that not only provides business quality output, but is loaded with standard features, such as wireless connectivity, a touch-screen control panel and robust security protocols." · All ColorMatch inks are fully OEM compatible. Our inkjet cartridges can be installed individually without any loss of quality. This is critical as inks do not run out at the same time. You do not need to buy complete sets – just replace them as needed. This provides a significant savings versus 'cheaper' suppliers that encourage you to change out the inks completely and flush the lines to avoid compatibility issues. You do not have the time to do that, and who needs the additional hassle? · No color re-profiling is necessary. ColorMatch inks consistently duplicate the OEM (Original Equipment Manufacturer) color gamut. Cheaper foreign imports may work well enough in your home inkjet printer, but are not suitable for high quality, wide format print jobs, were quality is your image. You will have the same high quality output from ColorMatch inks that you currently enjoy with OEM inks – but at a far better price! Again, what may appear cheaper can sometimes actually cost you more in the long run. Downtime from 'cheaper' ink change-outs and re-profiling can eat up your profitability for several days of production. ColorMatch inks are 'plug & print'. No re-profiling, no flush & fill; just install them and print – it is that easy! · All ColorMatch inks are TAA compliant. This is essential if you are a federal agency or contractor. TAA refers to the Trade Agreements Act (19 U.S.C. & 2501-2581) which is intended to foster fair and open international trade. TAA requires that the U.S. Government may acquire only U.S. –made or designated country end products. This act requires that manufacturers must certify that each end product meets the applicable requirements. End products are 'those articles, materials and supplies to be acquired for public use'. Most cheap imports come from countries that do not abide by the Trade Agreements Act. · All ColorMatch inks undergo rigorous quality assurance. Because our cartridges are pre-installed prior to packaging, 'chip read' errors as well as other potential problems are significantly reduced. Some of our customers even tell us that our inkjet cartridges are more reliable than the OEM! · All ColorMatch inks are backed by a comprehensive guarantee. You and your printer are fully protected! In the unlikely event that there is damage to your printer as a result of using ColorMatch inks, we will pay for the parts and labor to repair the printer. Good luck getting that level of support from off-shore suppliers! For more information visit our Wide Format Printer Supplies page, e-mail us at CS@priceless-inkjet.com or call our customer service (877) 408 3652. Brother and Canon offer support to relief efforts following 6.1 magnitude earthquake in southwestern China on 3 August. 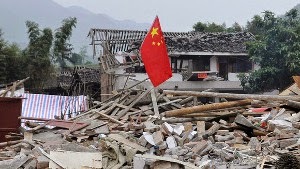 In a press release on its website, Brother announced that it will donate approximately ¥ 5 million ($49,000) to the Japanese Red Cross Society and other organisations in order to help with the relief efforts following a 6.1 magnitude earthquake that struck Yunnan Province, China, on 3 August, reportedly causing the death of nearly 600 people along with extensive destruction. Likewise, Canon announced in a press release that it will make a donation of RMB 3.2 million ($520,000) towards the relief efforts, adding that "the organisation that will receive this donation is still under consideration. The OEM stated: "We at Canon would like to extend our heartfelt condolences to all those affected by this disaster and our thoughts go out to those suffering in its aftermath". It added: "While we realize that the road to recovery will be challenging and time-consuming, we hope that the region will soon be able to begin the rebuilding and healing process." Hewlett Packard / HP warns Australian business customers to "think twice before using remanufactured toner" in its business eNewsletter. In its IT business eNewsletter, HP outlines reasons why it believes remanufactured toner "might be hurting instead of helping" businesses that use such products; firstly claiming that "it's not very reliable and may harm your printer" due to "critical cartridge components" in reused products being "very easily damaged or near the end of their usable life" and so are "more likely to fail". 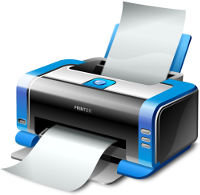 It added that this could also "cause damage to your printer", citing research by Lyra Research, which was acquired by Photizo Group in 2012, with the research allegedly finding that "nearly one in 10 LaserJet customers using non-HP cartridges end up with a damaged printer that requires cleaning or repair, and 26% experience downtime as a result of cartridge problems". Hidden costs are a further issue that HP claims remanufactured toner cartridges poses due to "hidden costs in the form of support calls, reprints, and wasted supplies" which may make using remanufactured toner "less economical than it might seem". As a result, the OEM stated that "non-HP toner cartridges can actually cost up to 10% more than original HP toner cartridges". Continuing its list, HP stated that "it's not necessarily better for the environment" to use remanufactured toner, claiming that "remanufacturing rarely prevents toner ending up in landfills". It cited a 2014 study which allegedly found that "nearly 90% of the toner cartridges sold by the remanufacturers surveyed will ultimately be thrown away" as "most remanufacturers fail to collect their own products". In terms of the technology of remanufactured toner, HP claims that "remanufacturers can't replicate HP technology exactly because HP technical specifications are proprietary and unpublished" and "most aftermarket toners lack uniformity in particle size". The OEM therefore concludes that "using remanufactured toner will guarantee that you aren't getting the quality your printer has the potential for producing". Finally, HP highlights the potential issue of page yields, claiming that those of remanufactured cartridges "do not equal those of HP cartridges" as "most do not adhere to ISO standards for measuring page yield". HP concludes that businesses should "do your research and figure out if it really will be as beneficial to your business as you might think" as "you could be surprised by the answer". Let us know what are your thoughts about that statement! "Lego felt tip 110" printer connected to an Apple Mac. This is not mindstorms, I designed/built/coded it all from scratch including analog motor electronics, sensors and printer driver, the USB interface uses a "wiring" board. Since 1999 we have been a major supplier of original brand (OEM), compatible replacement and remanufactured Premium Quality inkjet cartridges, laser toner cartridges and other printer supplies. Our customers range in size and include the United States Government, small and large businesses, schools and individuals. Each of our customers is equally important to us and is treated with the same friendly professionalism. 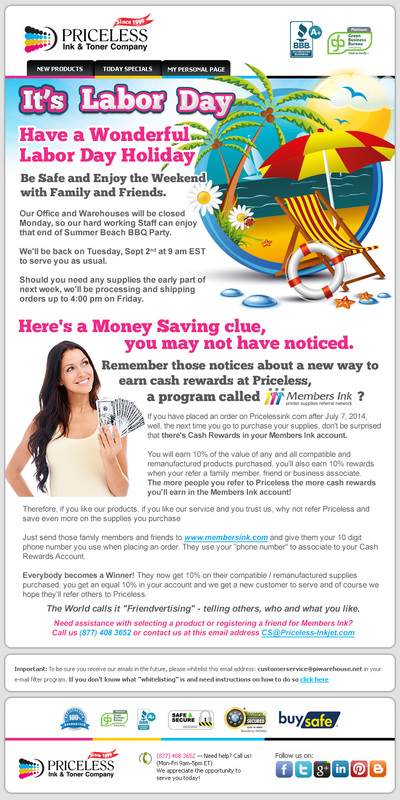 Visit us at Price Less Inkjet Cartridge Co.